.After I got out of the Navy I tried to get into the Ontario College of Art and was rejected basically because I failed math. I went to the Artist workshop and the like but then I hung out with artists I became friends with almost all the prominent Toronto Artists. I drank with artists and argued art and went to all the shows and visited studios and became involved with many projects etc. But I always went my own way and often struggled to find my way. 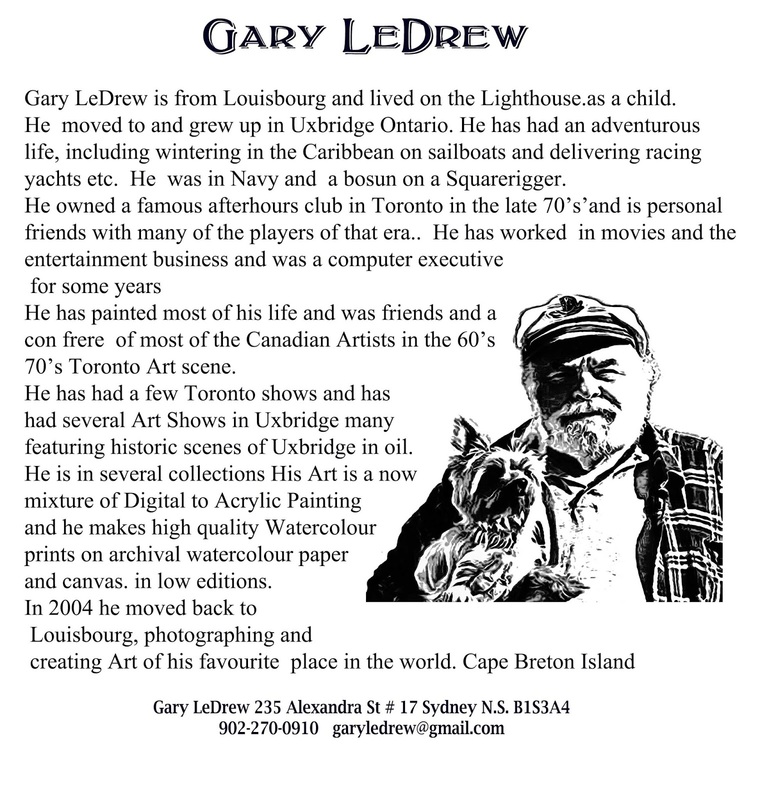 I painted for several years mostly in Uxbridge but never really liked my paintings with a few notable exceptions. Then I found computers and loved what I saw. I started in 81 but it took until 95 before I started to get what I wanted and another several years until I quit painting and made all my Art on the computer I am an able photographer and have thousands of my own photos but I have no compunction about stealing what I need to make a picture. (Picasso said"Good Artists borrow, Great Artists steal.') I doubt anyone wouldrecognize what I take because usually it is just a shape or colour. I now have collected and developed programs and filters and brushes etc. that give me a great scope when I work.I have developed a method of composing my pictures so I get them printed on canvas and finish them with acrylic. this way I get the great colour effects I can get with filters and layers on the computer and the reality of painting on canvas. I also make prints of most of my work.It can take me longer to create a picture than to paint it. I also make animated art. I lived on Louisbourg Lighthouse as a small boy and Louisbourg has always been an important part of my Art .